A court on Monday fixed August 27 for hearing the Zia Orphanage Trust and Zia Charitable Trust graft cases facing by Bangladesh Nationalist Party chairperson Khaleda Zia. Judge Abu Ahmed Jamadar of Dhaka Special Judge’s Court-3 fixed the date after cross-examining Ziaul Haque Munna, an accused in the case and former assistant personal secretary of Harris Chowdury, reported United News of Bangladesh. Besides, the court granted the non-appearance petition of Khaleda Zia when her counsel Khandaker Mahbub Hossain submitted the petition. Meanwhile, the court asked the authorities concerned not to allow Munna to go abroad as Mosharraf Hossain, public prosecutor of the Anti Corruption Commission, informed the court that Munna got US green card and he might leave the country anytime. However, the court also asked the authorities concerned to submit the passport of Munna to it on August 27 and asked the law-enforcement agencies concerned to take necessary precautionary measures in this regard. Earlier on July 23, the special judge court adjourned till August 3 the hearing on the two graft cases against Khaleda Zia. ACC deputy director Harunur Rashid, also an investigation officer of the case, pressed charges against the accused on January 16, 2012. Besides, the ACC filed the Zia Orphanage Trust graft case on July 3, 2008 with Ramna Police Station accusing Khaleda, her eldest son Tarique Rahman, now living in the UK after securing bail, and four others for misappropriating over Tk2.10 crore which came as grants from a foreign bank for orphans. 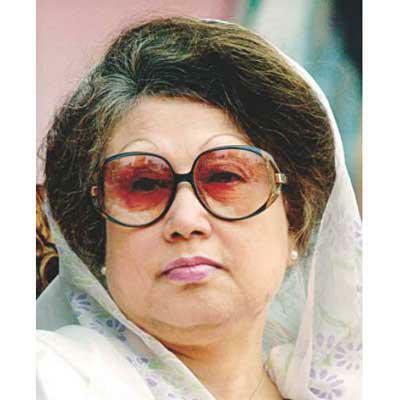 On August 5, 2010, Harunur Rashid submitted a charge-sheet to the court in the case against six people, including Khaleda Zia.